Rail workers will take their 45th day of strike action on Saturday in the long-running dispute over guards on trains, causing fresh disruption to services. Members of the Rail, Maritime and Transport union (RMT) on Arriva Rail North (Northern) will walk out for 24 hours, mounting picket lines across the region. Northern said few services will run after 5pm, hitting travellers including shoppers and sports fans. RMT general secretary Mick Cash said the strike would again be "solidly" supported, adding: "The company refuses to lift the axe from above the heads of their safety-critical guards, and instead concentrates on sweating the assets for every penny in advance of a sell-off. "Now is the time for the Government to step in, strip Arriva of the Northern franchise, and take it into public ownership, with safety and quality services placed top of the agenda. "RMT continues to make every effort to get serious and meaningful talks going with Northern but the company prefers to ignore the safety concerns of their staff and the public alike in a show of complete and utter contempt. 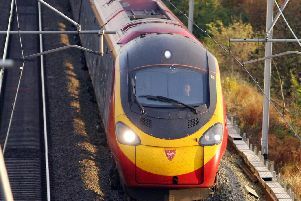 David Brown, managing director at Northern, said: "More than 50% of all rail journeys in the UK are made on driver-controlled trains and recently the Department for Transport and Transport for the North publicly confirmed that a second person - in addition to the driver - would be retained on Northern services. "Therefore, there is no reason for the RMT to continue its disruptive and economically damaging strikes, but despite this, the RMT continues with its strike action. "We expect all of our services on Saturdays in January to be extremely busy and are calling on our customers to plan their travel carefully for the coming weekend, check the new timetables well in advance, and make sure they do not rely on the last trains home."